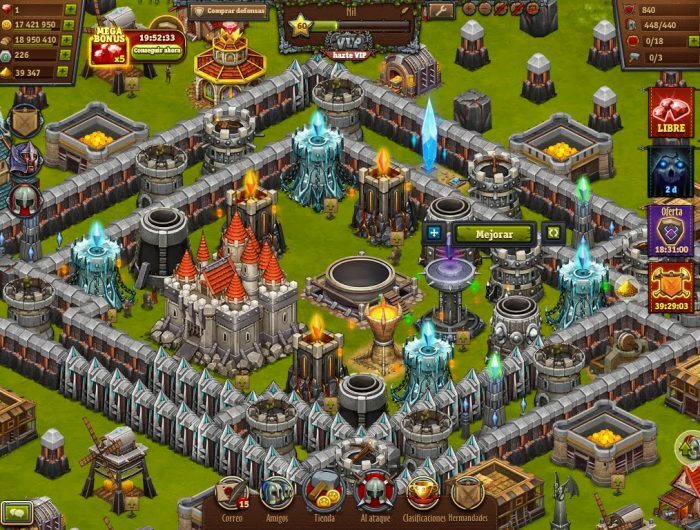 Throne Rush is a free to play strategy/town builder game set in a fantasy medieval setting. 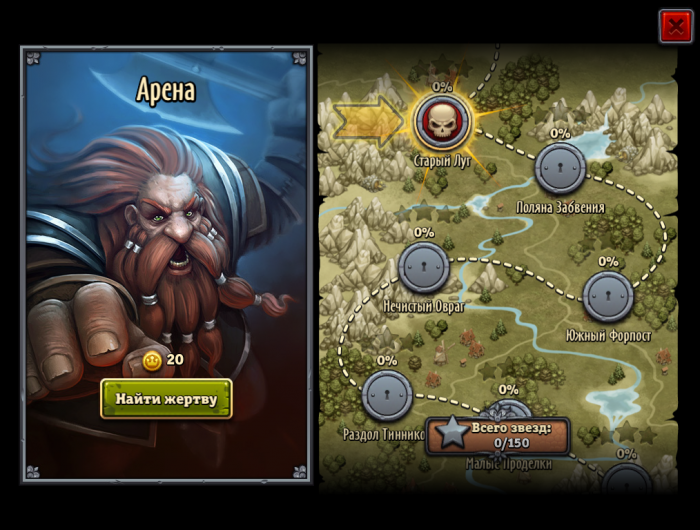 It was one of the first games in the genre established by Supercell’s Clash of Clans and Kixeye’s Backyard Monsters to be created in Russia. The game features epic battles with hundreds of units on the battlefield and RPG elements in the form of Hero units which cannot die permanently, acquire experience in fights and level up. When I joined the team, the project was in a pre-production state with no set engine and no design documentation. My first goal was to create a playable prototype with a placeholder balance, which was accomplished within my first couple of weeks in the company. 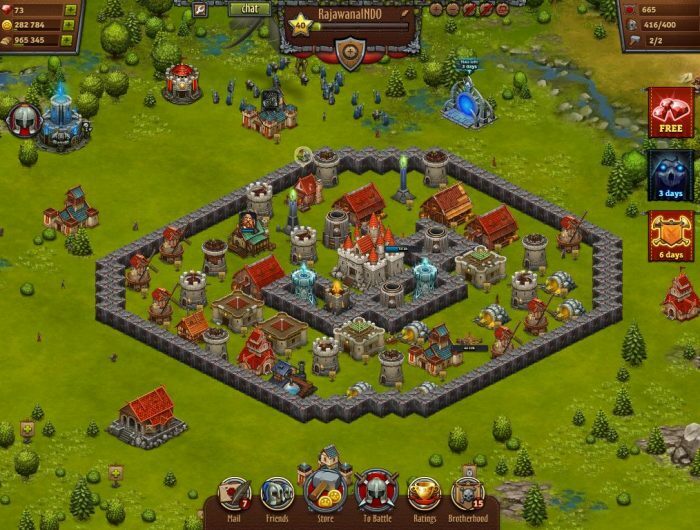 Throne Rush was initially going to use the company’s previous game engine which lacked a real-time combat functionality (instead, battles were resolved automatically in the background using formulas). The prototype was used to prove the necessity of having a real-time battle mode for a game in the chosen genre. After the prototype was finished and the production phase began in earnest, I set out to work on designing the beta balance, creating interface mockups for the artists to work with, creating design documentations and overseeing implementation of gameplay features, making levels for the PvE mode and creating quest objectives. Altogether, it took 4 months from the first prototype to beta release in Russian social networks with me being the sole game designer on the team. After the game was released, I continued my contribution by providing designs for new gameplay features (including a Hero unit system, Clan Wars and Spells), creating live events and tuning the balance and monetization of the game. Following its worldwide release on Facebook and on mobile devices, the game has reached 9 million monthly active users across all platforms and $100K/day revenue values, becoming Nexters’ most successful title to date and winning Facebook staff favorite game award in 2014.